Smoke and fire can be seen billowing from the upper part of the iconic cathedral, which is the most visited monument in the city of Paris. 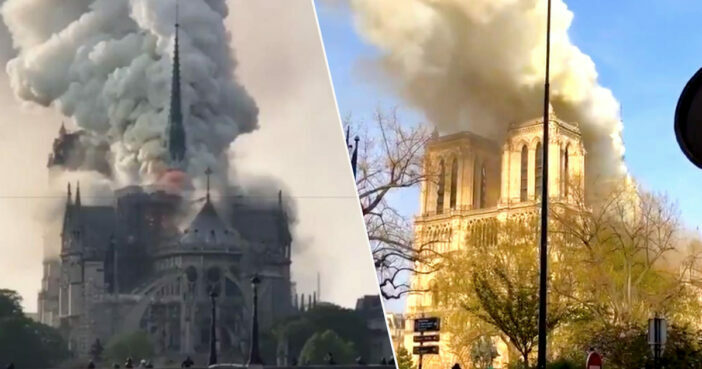 The fire appears to be substantial, with witnesses describing ash falling from the religious building, with flames rising from between the two bell towers. A terrible fire is taking place at the Cathedral of Notre-Dame. I ask everyone to respect the security boundaries. Notre Dame Cathedral has stood since 1260, having been modified in the centuries since. It’s provided inspiration for writers such as Victor Hugo and is one of the most culturally significant and instantly recognisable buildings in the world. The gravity of this situation is not yet understood. As reported by the BBC, a spokesperson from the fire department has described the fire as having started on the afternoon of April 15, with a major operation under way. There’s no official word as of yet as to what started the fire. It’s understood scaffolding was recently erected around the building, with renovation work having been underway. It’s believed the fire was started accidentally, with no indication it was started deliberately. Fire fighters have said the fire could be potentially linked with the renovation work. Mayor Hidalgo has said firefighters are currently working to battle the fire.